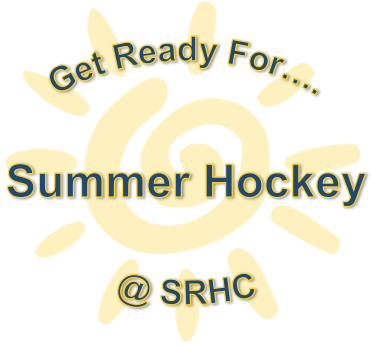 New: Summer Hockey at SRHC! Lots of fun for all ages with competitions to suit everyone on our brand new turf! Note: Days and times are preliminary only and are subject to change depending on number of teams. And/or click here to go to the Summer Hockey page to nominate your team! Come and brush off the cobwebs at our first family function of the 2018 season. 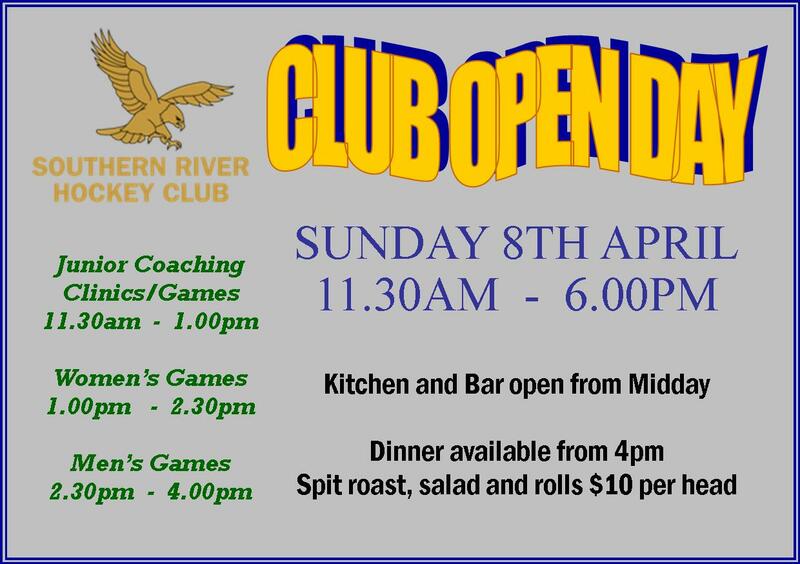 The Annual Club Open Day will be happening on Sunday 8th April commencing at 11.30am. First call of the day will see the Promo One men and women squads dazzling the juniors with their sublime skills during some morning coaching clinics. The juniors will then get to display these newly acquired skills in a scratch match or two. After this you will be able to witness our Luscious Lady Hawks racing up and down the field like the elegant gazelles that they are. Final match of the day will then see the Marquee Masters Men massacre the Mighty Metro Men, or so they say. The day will culminate in a delicious spit roast dinner lovingly prepared by some of our club members. If this is all a bit too much excitement for you then the bar will be open from midday so you can have a drink or two to settle the nerves and dull the senses. The kitchen will also be open for light snacks during the afternoon. We hope to see you all there on the day!!! 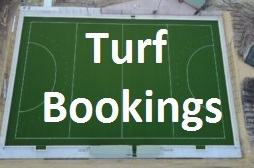 Junior coaching clinics, junior/senior games, bar open from midday, dinner available after 4pm. Don’t forget that as well as the new playing shirts this season we also have a complete new range of additional club gear including a new club supporter polo available in junior and senior sizes. This is your last chance to get your uniform order in if you want to receive your gear prior to the season commencing. Orders placed and paid for after the 5th March cannot be guaranteed supply prior to the regular senior season starting mid April. Do you want to join the Hawks for 2018? Are you coming back to get the premiership flag? If you answered yes, keep reading below. 2018 is about to kick off and what is the best way to start the season? Registration day of course! This year our registration day will be held on Saturday 10th of February 2018 at our club-rooms at the Les Sands Pavilion, Sutherlands Park, Gay Street, Huntingdale from 11am till 2pm. The uniform shop will be open to order clothing plus our new playing shirt samples for viewing and sizing up. 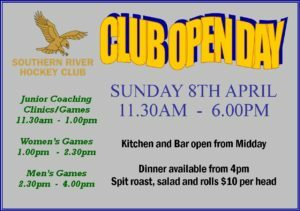 There will be a sausage sizzle and cool drinks on sale so come on down, meet the committee and our new senior coaches. If you can’t make it on the day then you can still register to play and order uniforms online and complete payment into the club bank account. Just head to the Player Information and Uniform Shop pages on the website for more information. Notice is hereby given that the next Annual General Meeting of the Southern River Hockey Club Inc will be held on Wednesday 18th October 2017 at 7pm at the Clubrooms, Gay Street, Huntingdale. To see the full notice including the Agenda please click on the link below. In accordance with the constitution, all financial members may attend the Annual General Meeting. All nominations must be received in writing on the nomination form available for download via the link below and submitted by the due date as indicated. OPTION 1: Tickets can be purchased this Thursday at the club from 6:00pm to 8:00pm from the kitchen. 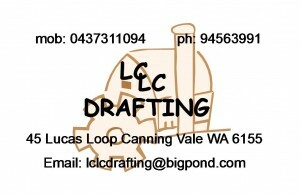 Cash or EFTPOS payment is available. OPTION 2: Tickets can be secured by direct deposit into the club’s bank account (details below). To do this please deposit the amount in terms of how many tickets you wish to purchase with your reference WU – Your Surname and then email treasurer@southernriverhockey.asn.au with your transfer receipt and number of tickets you are purchasing.Please note we will not be holding tickets without payment due to having to notify caterers of numbers by Friday 15th September.